Fortnite’s Creative mode launches this week, and Epic has provided an updated code of conduct to accompany it. There are three principal points to the code: “respect other players,” “keep account information safe and private,” and “be friendly and have fun.” But there are also a list of dos and don’ts that offer some broad and probably unenforceable calls to stay on-brand and stick to official terminology while playing. One such ‘do’ is to “be an extension of the brand. 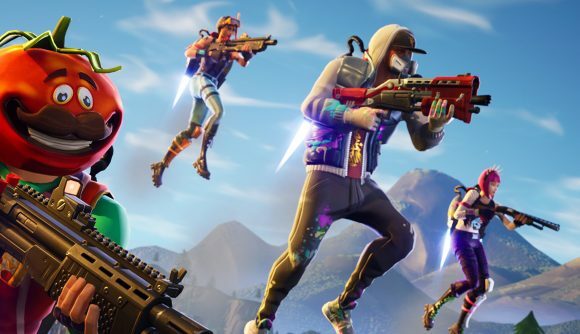 Fortnite is fun, friendly, and welcoming to all players.” That seems to be intended as a call to act nice, because Epic wants Fortnite to be nice – but the implication that you’re doing it as an extension of the game’s brand marketing is a bit chagrining. Another ‘do’ asks you “use official Fortnite names for all weapons, Outfits, Points of Interest, and items.” The weapon request alone gives us a lot to unpack. Fortnite’s guns tend to based quite closely on real-life counterparts, despite sticking to generic names like ‘assault rifle.’ The rare rifle variants in particular bear an undeniable resemblance to the SCAR. But, of course, you definitely shouldn’t call it a SCAR. You can read the full code of conduct at the official site, but Epic does note it is “not final and will change over time.” I doubt anyone will offer much public protest on the prohibitions against pornographic content, spam, or Fortnite-related fraud.